If your current service provider doesn’t use a Web-To-Print system, or is using off-the-shelf software, they are behind the times! Most companies’ needs are beyond the capabilities of basic software, and require easy-to-use applications that solve complex problems. 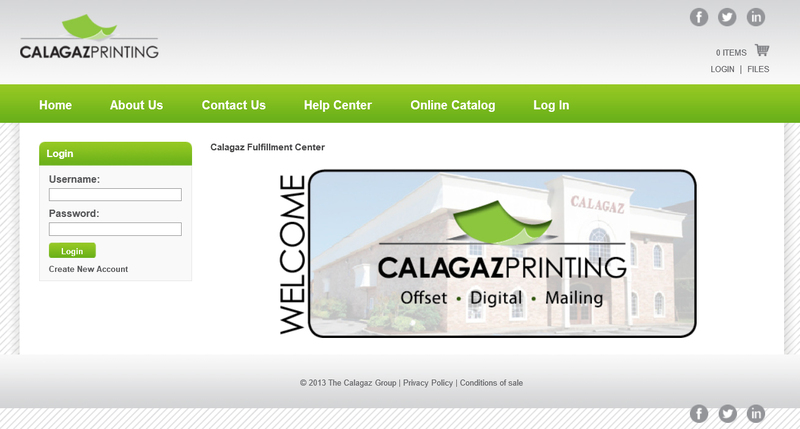 Calagaz Printing has the solution you are looking for. Our clients face unique challenges every day, and we provide them with systems that simplify, not complicate, their work.